I have worked with many couples on conception. Some couples want to make sure they are healthy so they can conceive. Some have experienced the devastation of multiple miscarriages. And some have been trying for years to get pregnant. I have helped couples through IUI and IVF, and I have helped couples conceive naturally. Fertility is one of the best things that I do in my practice, because in most cases, there is a baby at the end. And boy do I love babies! My role is to help couples achieve a healthy, full-term pregnancy. I work to uncover causes that contribute to unexplained infertility using functional diagnostic testing, herbal and nutritional remedies, and acupuncture to bring about healthier couples and healthy babies. Fertility is a major issue. It is estimated that about 10 to 15 percent of couples in the United States have trouble conceiving or carrying a pregnancy to term. Infertility affects men and women equally, so it is important to evaluate both partners when investigating fertility. Most patients who come to me have already been to their conventional provider, so they have often had basic tests done. I like to dig a little bit deeper because I know that a healthy pregnancy and the health of a baby are highly dependent upon the health of the parents. While the ultimate goal is pregnancy, identifying and treating the underlying cause or causes of infertility will actually lead to a much better outcome. My couples actually get healthy, then conceive, and tend to remain healthy beyond that. What Do I Look For? For men, fertility has to do with sperm. We look at the sperm quantity or how many sperm are in an ejaculate; sperm motility, or how they move and ‘swim’; and morphology, which is how they look. Sperm is affected by many factors. Sperm production is dependent upon healthy levels of circulating hormones and for men this is primarily dependent on testosterone. There are many, many reasons that a male can have altered hormone levels. Obesity, metabolic diseases like diabetes, environmental toxin exposures – which we ALL have, alcohol, tobacco, marijuana, and other drug use – including certain prescription drugs, nutrient deficiencies and even stress, can contribute to infertility in men. Because there are so many different factors that contribute to the health of the sperm, treatment of male infertility has to be personalized to meet the needs of the individual patient. For women, causes of infertility can be more complex and multiple. Hormonal imbalances can be caused by such a wide array of issues. Just like with men, obesity can be a major hormone disruptor, as can metabolic diseases, thyroid dysfunction, ovarian failure, and so on. Physical issues like pelvic inflammatory disease, endometriosis, and uterine fibroids can also play a role. And age, environmental toxin exposure – which again is a much more major issue than we think – and stress are all major impediments to a successful pregnancy. Because women are so much more complex, you can easily see how a one-size-fits all approach may not be effective. And just like with men, identifying the underlying causes and correcting those issues will have a much better outcome than simply making the goal pregnancy. My goal is to promote optimal health in every patient. And for my fertility patients, helping them be healthier will lead to the ultimate goal of pregnancy. In general, there are some foundational recommendations for both men and women to improve fertility. On a very basic level, egg and sperm are similar so it would make sense that you support those cells in a similar fashion. Because of this, all couples need a solid preconception program that includes diet, lifestyle, and dietary supplements. In this article, I will cover the diet piece and will continue with the other factors in subsequent articles. Diet is key and I tend to recommend a Mediterranean Paleo style diet. Nut just because of its overall health promoting benefits but also its ability to enhance fertility. 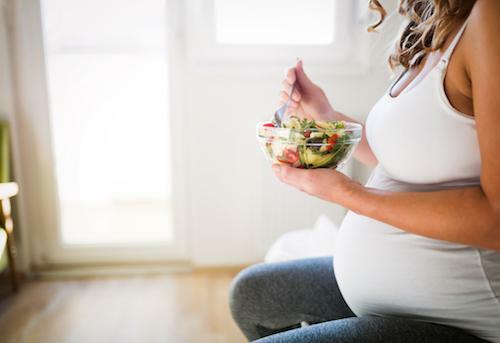 Several studies have demonstrated that couples eating a Mediterranean diet are more likely to get pregnant. This diet is also associated with higher folate and vitamin B6 levels, which are important to healthy DNA, and therefore healthy pregnancy. The basis of this diet is whole foods including lots of vegetables, high quality meats that are wild, pasture-raised, and/or grass fed, healthy fats like olive oil, coconut oil, and avocados, and fruits. Eliminating unhealthy fats and processed foods is a great way to decrease inflammation and ensure proper nutrition. This is also a great diet to use to normalize weight, which is a major factor in infertility. If you have been reading my articles, this diet is not new to you. It is one that I like my patients to consider for overall health improvement. The key is realizing this is not a meat heavy diet. It focuses on vegetables – loads and loads of them – preferably organic. Fresh herbs and spices to flavor your foods. Healthy fats to help fill you up. And a small side of the highest quality animal proteins. A healthy diet does affect fertility. So eat your greens to improve your chances of becoming pregnant! Dr. Eliza Klearman is an expert in natural and holistic medicine who uses her skills to restore health and balance to her patients. The products and the claims made about specific products on or through this site have not been evaluated by Dr. Eliza Klearman, ND, LAC, INC. or the United States Food and Drug Administration and are not approved to diagnose, treat, cure or prevent disease. The information provided on this site is for informational purposes only and is not intended as a substitute for advice from your physician or healthcare professional, or any information contained on or in any product label or packaging. You should not use the information on this site for diagnosis or treatment of any health problem or for prescription of any medication or other treatment. You should consult with a healthcare professional before starting any diet, exercise or supplementation program, before taking any medication, or if you have or suspect you might have a health problem. SDr. Eliza Klearman, ND, LAC, INC. is not responsible for picture, price or typographical errors or misprints. Product availability, pricing, and promotions are subject to change without notice.